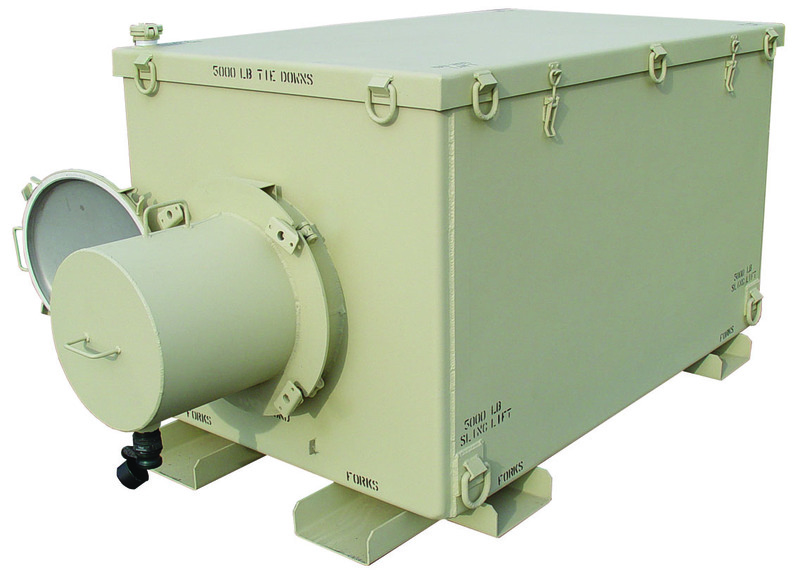 Our Fuel Bladder Container (FBC) are the safest and easiest way to transport a 500-gallon fuel bladder to any forward Location on military aircraft. There are two 20-inch stainless steel hatchways located on each end of the container which allows for easy access to the fuel bladder. If for some reason the bladder was to develop a leak, there is a 1” quick disconnect valve located at the bottom of the container which allows you to recover leaked bladder fuel. The lid has (10) tie down rings and a 1.5-inch inspection port which allows you to inspect the inside of your container without removing the lid.